Meet us at FOSDEM 2018 ! 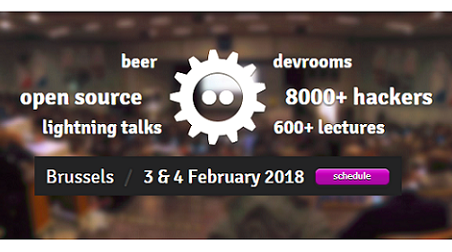 FOSDEM 2018 is a free and non-commercial event organised by the Open Source community, for the community. FOSDEM 2018 will take place on February 3rd and February 4th 2018, in Brussels, Belgium. Its goal is to provide Free and Open Source developers a place to meet. FOSDEM is entirely free and was visited last year by more than 8,000 developers. 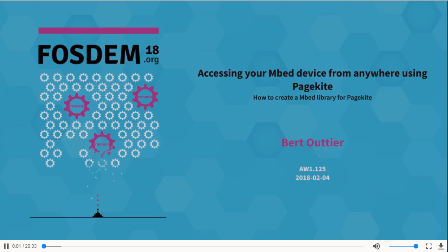 As one of the main players in Open Source Software for Embedded Systems, Mind will give a presentation about “Accessing your Mbed device from anywhere using Pagekite”, in the IoT DevRoom, on Sunday February 4th at 10:30. In addition, all the Mind team will be attending FOSDEM 2018, so please do not hesitate to contact us if you would like to take this occasion to meet and discuss.